Your DGB for today is to work with the NAACP. Your phone is almost always in your hand, right? Well, now it’s a Bat Signal when your help is needed on behalf of justice! 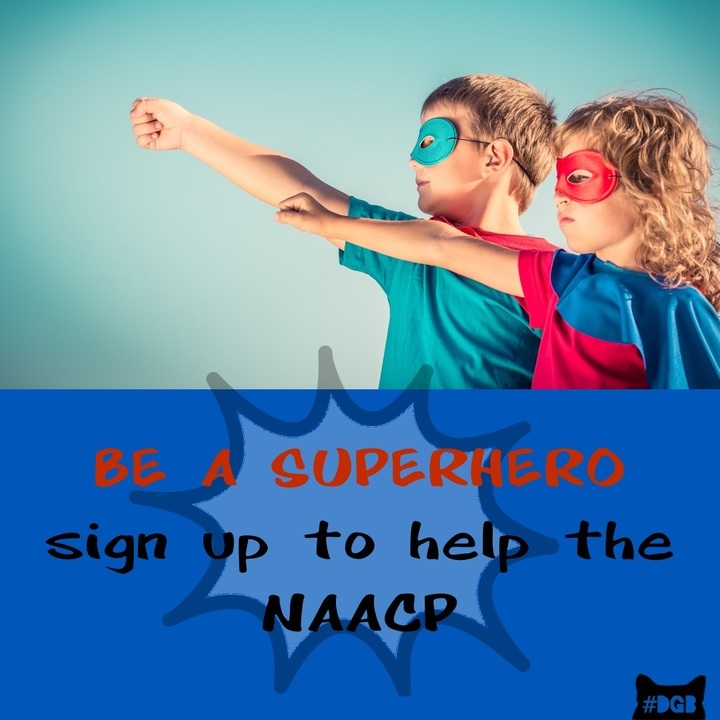 No need to pull together a skin-tight superhero suit - your regular attire will work just fine when you sign up to help out the NAACP. All you have to do is text STAND to 52886 to volunteer your time and talents. That’s it! One text. Less than a minute. You’ll be signed up to get the latest rallying cries from a great anti-racism, pro-human-rights organization.